AMAC Aerospace proudly announces that one of AMAC’s VIP Completion Projects, the BBJ Demonstrator, has been awarded by Design Et Al Awards and won its category ‘2018 Interior Design/ VIP Completion’. The prestigious BBJ Demonstrator Project that AMAC returned to service to its esteemed customer, Boeing Business Jets, in May, 2017, is distinguished by a variety of bespoke furniture, a fine selection of interior material, a consistent color design scheme, the latest technical equipment and a bespoke cabin layout. The BBJ Demonstrator is the third demonstration aircraft Boeing Business Jets has built and was conceived to be both a functional corporate transport and an extrordinary showpiece. The aircraft is configured to accommodate up to 13x PAX in a private, working environment but at the same time showing off the expansive cabin space devised by the designer, Unique Aircraft, to offer high levels of comfort during long flights. In collaboration with JCB Aero, AMAC Aerospace’s subsidiary, floor lamps were produced and installed, which are rarely to be found in a VIP aircraft. These lamps provide a relaxing diffuse light source to passengers at seated shoulder height. Sidewall panels, air ducting and ceiling dropdown were constructed and installed by AMAC Aerospace to maximize cabin space. 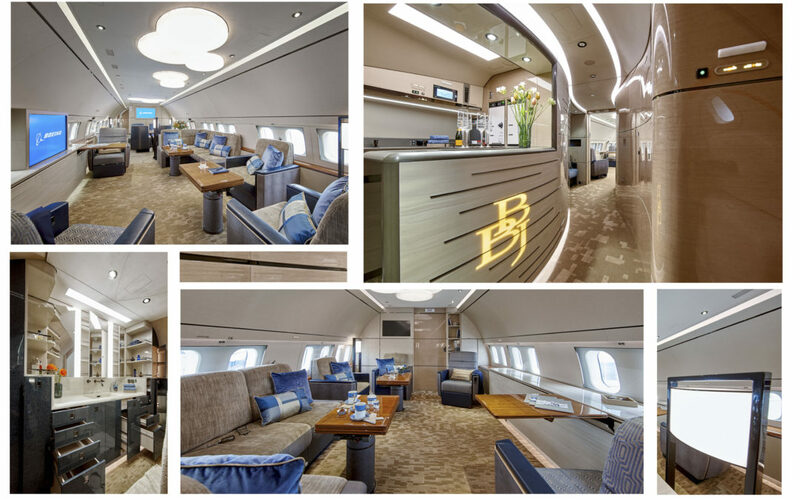 A clean aesthetic look and at the same time a cabin layout that makes functional sense are the key characteristics of the BBJ Demonstrator Project. “We are delighted to see this award as being a great appreciation from everyone who voted for the BBJ Demonstrator in its category for our VIP Completion work, that we could realize thanks to the trust of Boeing and the design work of Unique Aircraft” said Mr. Waleed Muhiddin, AMAC Aerospace’s Vice President Strategic Operations & Business Development. 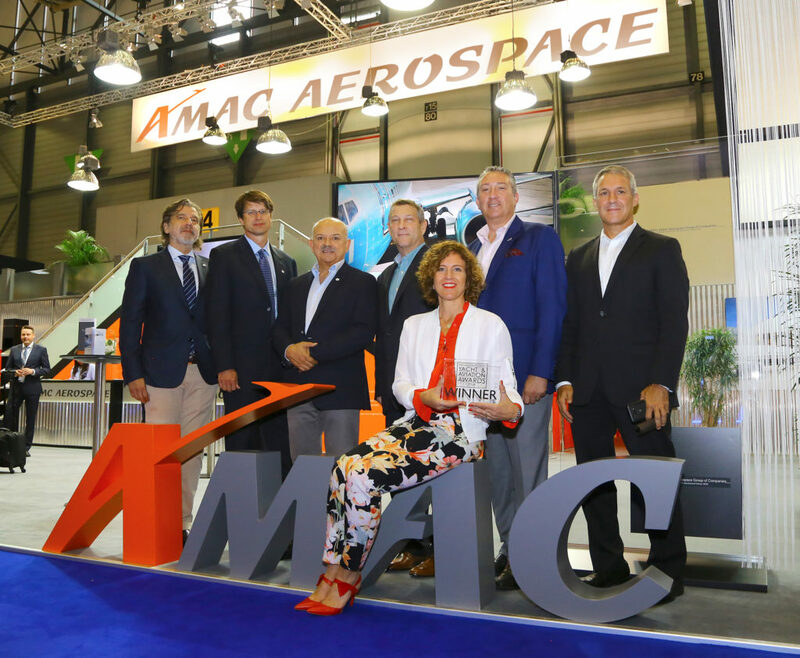 From left to right: Mauro Grossi (Group CFO, AMAC Aerospace), Bernd Schramm (Group COO, AMAC Aerospace), Kadri Muhiddin (Group CEO & Executive Chairman), Gregory Laxton (BBJ President), Rene N. Gonzalez (BBJ Chief Pilot), Capt. Alex Fecteau (BBJ Director of Marketing), Ms. Warja Borges (Unique Aircraft); Photo by AIN/David McIntosh.